Fast food restaurants push for customers to consume items high in sodium or sugar. The fast food today has been linked to obesity and heart disease, yet, the American people are still consumers of the industry. Over the years, there have been studies about the dangers and risks of fast food. They show that it can cause heart disease, diabetes, and even cancer. In a medical study in 2005 published by The Lancet, eating fast food more than twice a week can cause an increase in weight and resistance insulin which can cause Type 2 Diabetes. The Fred Hutchinson Cancer Research Center in Seattle did a study on 3,000 men ages 35-74 eating french fries, fried chicken, fried fish, and fried doughnuts for at least once a week. The results had the men with at least a 30 percent higher risk of developing prostate cancer compared to men that didn’t eat these foods. Lori Maucieri, coordinator for a weight loss program at Pittman Creek Physical Therapy in Plano, changed her fast food habits after a life changing event. 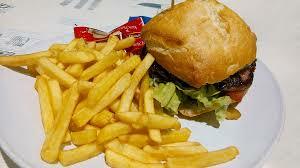 Maucieri said that people should think carefully about consuming fast food and the long term effects. Knowing what actually is inside of food can be a huge deterrent for many. Maucieri recommends making healthy foods easily accessible if someone absolutely must eat fast food. 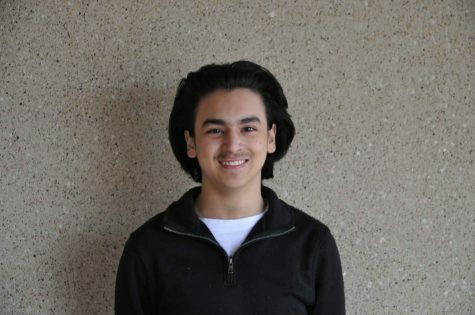 “When you do on occasion find yourself making your way through a fast food drive-thru, make healthy choices, because you want to make the best of your body and your life,” Maucieri said. Yet despite the scientific studies, fast food still remains an attraction. However, home cooked meals are a better option financially than fast food or going out. According to an experiment by the Oakton Community College, when three meals per day per person were purchased from a fast food restaurant, the cost came out to $87 in a week. When all whole ingredients were purchased from a grocery store and used for meals at home, the cost came out to only $45. This shows that more money is saved when cooking at home. Nonetheless, statistics show that Americans are choosing to go to the drive thru of a Wendy’s instead of parking their cars in the parking lot of a grocery store. On top of that, the amount of fast food advertisements is endless. Fast Food F.A.C.T.S. found that in 2012, the fast food industry paid over $4 million to advertise unhealthy foods. According to the Pew Research Center, 50 million Americans are served fast food on a daily basis. Despite the scientific studies on the danger of fast food, the American people seem to not care about what will happen to their bodies in the near future. Instead, they are merely eating what is put in front of them. Customers who eat at fast food places like McDonald’s on a regular basis are damaging their health by consuming too much sugar and sodium. Health.com reports that a McDonald’s big breakfast with hotcakes contains 2,260 milligrams of sodium and 1,150 calories. The American Heart Association (AHA) recommends no more than 2,300 milligrams of sodium a day. This means that Americans are consuming their daily sodium intake in breakfast alone. Because of this, obesity continues to skyrocket. According to www.stateofobesity.org, adult obesity rates are at 30 percent in 25 states, and the rate is above 20 percent in every state. Obesity rates have since doubled in adults over the past three decades. More children are consuming fast food and are gaining weight, as well, because of behaviors they learn from their parents. According to Blank Children’s Hospital, the obesity rate in children has nearly tripled since 1963. The health care costs related to childhood obesity reaches $14 billion every year. Although there are warning signs screaming the dangers of fast food, the statistics on Americans consuming it have not changed much. However, the U.S. population continues its old habits of spending less on fast food and spending more on health care.